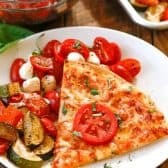 This is a sponsored conversation written by me on behalf of Balance Your Plate and California Pizza Kitchen frozen pizza. The opinions and text are all mine. 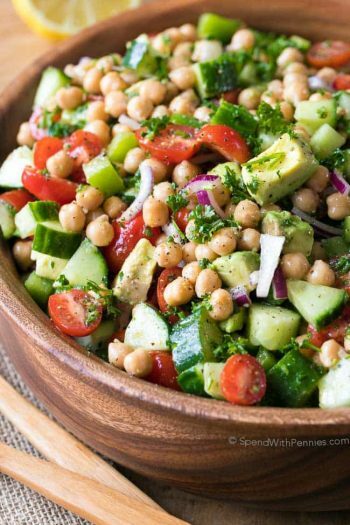 Easy Roasted Zucchini and Caprese Salad are delicious ways to incorporate loads of yummy healthy veggies into your weekly meal plan! 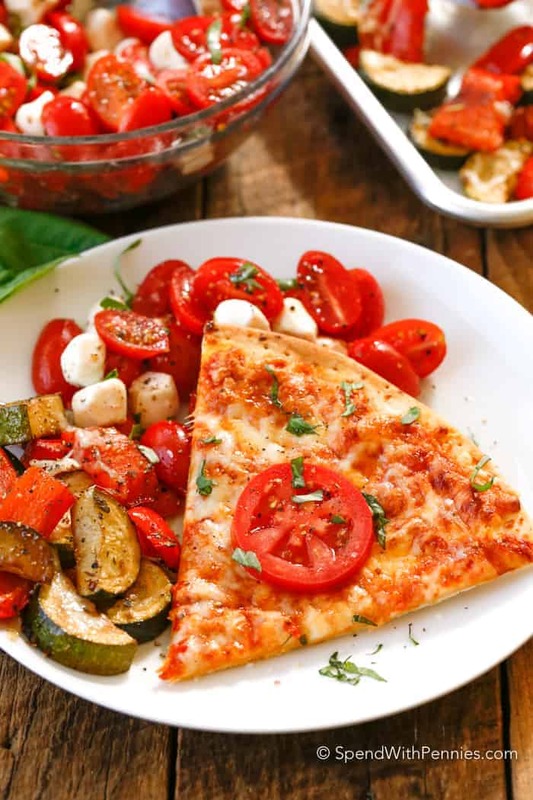 Adding these two sides to a thin crust CPK Frozen Four Cheese pizza topped with tomato and fresh basil makes a perfect meatless meal in just minutes! 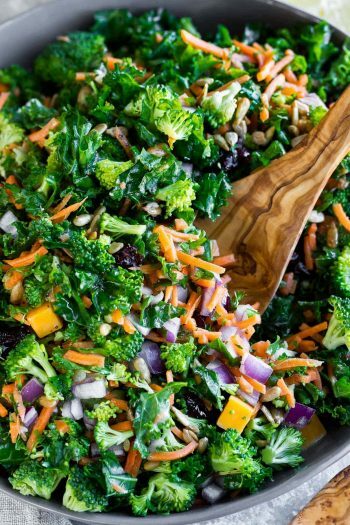 I actually love vegetables and I’m always looking for great ways to incorporate more veggies into my meals. Did you know that according to the Center for Disease Control (CDC), only 1 in 10 Americans consume the recommended amount of fruits and veggies? It’s kind of crazy considering how delicious and easy they are to prep! So, how can we get the recommended amount of fruits and veggies into our diets? One thing we do in our family is ensure we have loads of fresh veggies washed and ready to go, a full fruit bowl ready to pick from as well as a great variety of ways to cook up our favorites by roasting them to add lots of flavor! 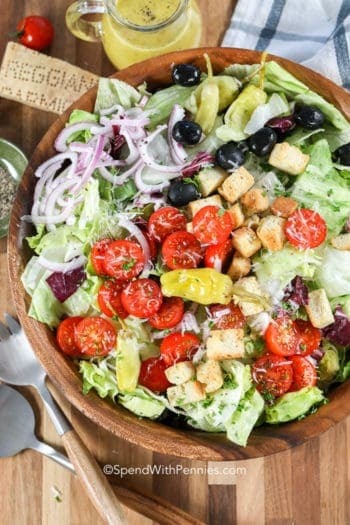 Here’s the great thing, making balanced meals does not have to be labor intensive, in fact just the opposite! 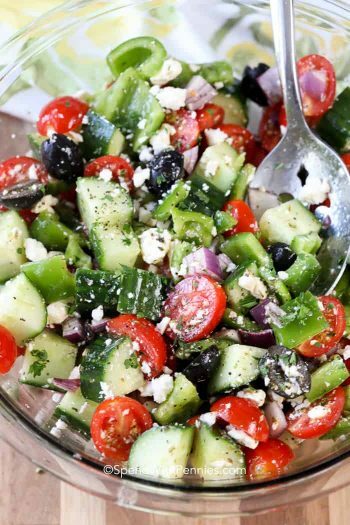 I love to utilize the convenience of frozen foods as a base and pair it with easy to make side dishes (like this fresh Caprese Salad and Easy Roasted Zucchini)! Recently we’ve been incorporating meatless meals into our routine at least once a week as well. This cost saving idea is not only easy on the pocketbook but it’s fun to come up with new veggie dishes! We try to keep meals balanced by incorporating whole grains, low-fat dairy options, proteins and of course our favorite fruits and veggies. 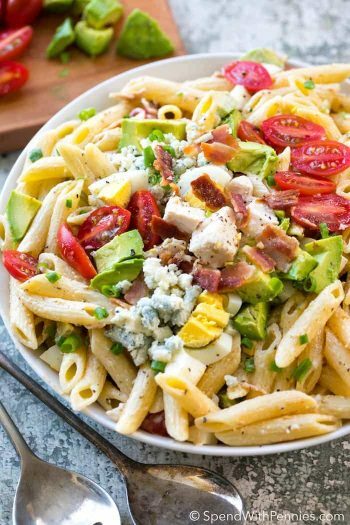 You can find some great ways to use both fresh and frozen ingredients (and yummy recipe ideas) to create balanced meals through Nestlé’s Balance Your Plate educational program! A perfect example is adding California Pizza Kitchen frozen pizza for an exciting weekday meal! 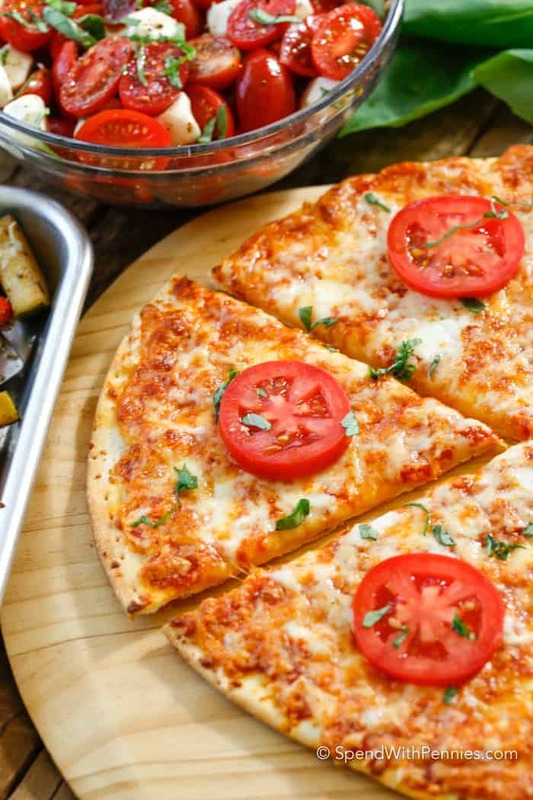 Not only does it go from freezer to plate in only 20 minutes, but it’s made with real ingredients including a preservative-free crust and 100% real cheese! 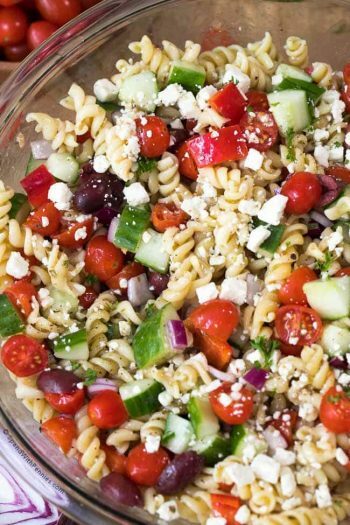 Adding a couple of easy and nutritious sides that are ready as quickly as the star of your plate means that you’ll have an entire meal on the table in under 30 minutes! CPK‘s Four Cheese Crispy Thin Crust is the perfect foundation for a meatless meal! A crispy thin crust loaded with four types of ooey gooey cheese is one dish everyone will agree on! Savory red peppers and tender zucchini seasoned with herbs and dusted with parmesan cheese bake to perfection right next to the pizza! 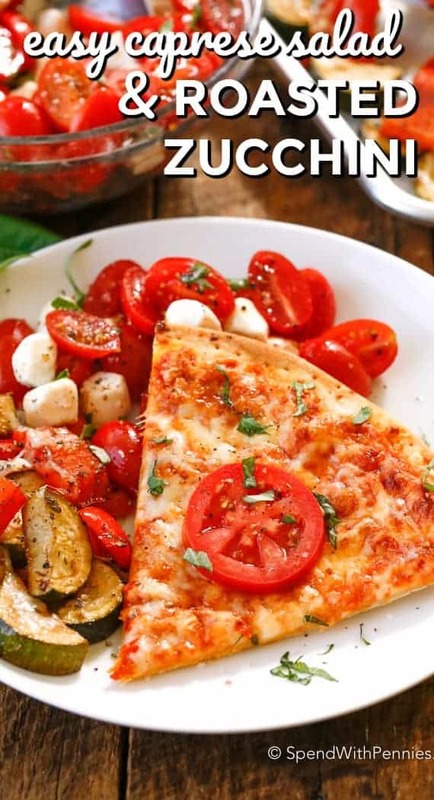 While the pizza and veggies are in the oven, simply combine tender bocconcini cheese, ripe grape tomatoes and balsamic vinegar with fresh basil. 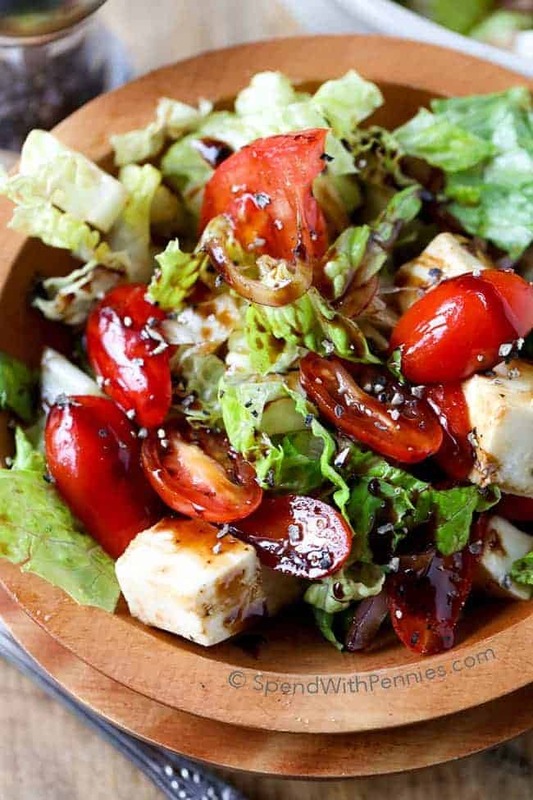 The result is a simple Caprese Salad that everyone will beg you to make on a regular basis! 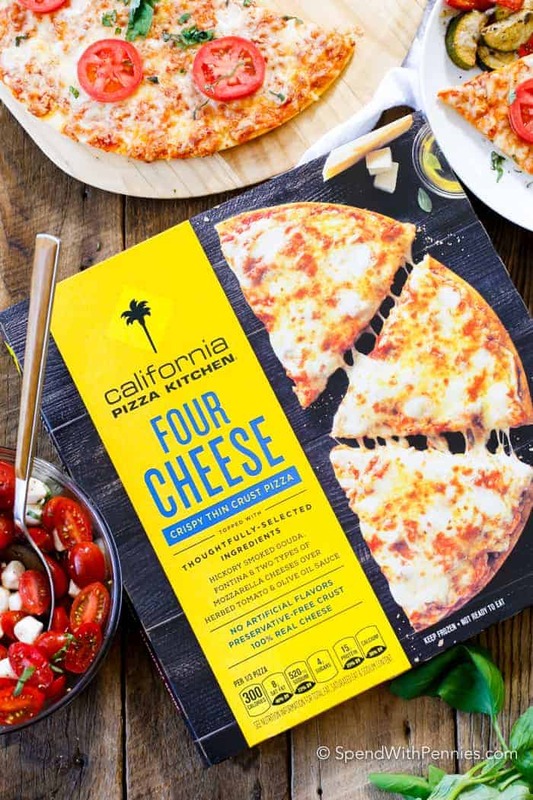 California Pizza Kitchen frozen pizzas are full of flavor, and pairing it with your favorite salad and roasted veggie makes for an effortless meal that everyone in the family will love! Simple zucchini roasted in the oven is the perfect side for any meal. Adding a caprese salad is not only easy, it’s deliciously fresh! Preheat oven to 4o0 degrees. Place in preheated oven. Roast until vegetables are tender and slightly golden, about 18 minutes. Remove from oven; sprinkle with the Parmesan cheese, place back in the oven 2-3 min. 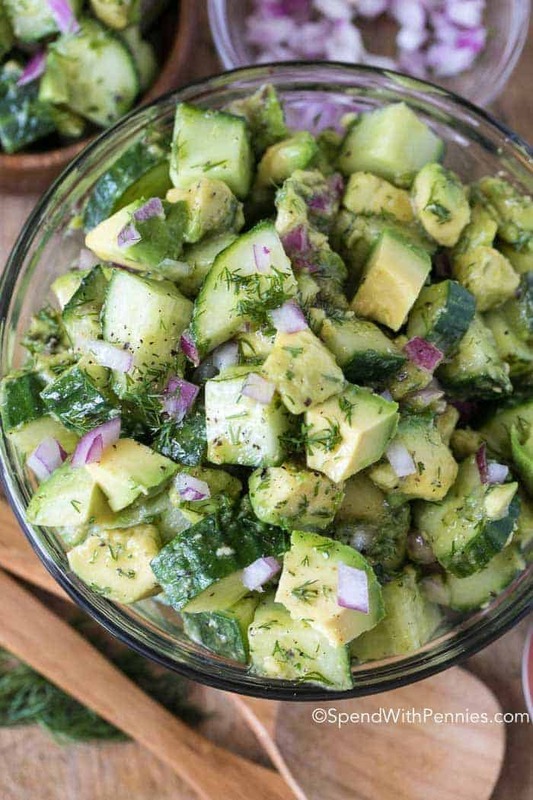 Toss all ingredients in a small bowl. 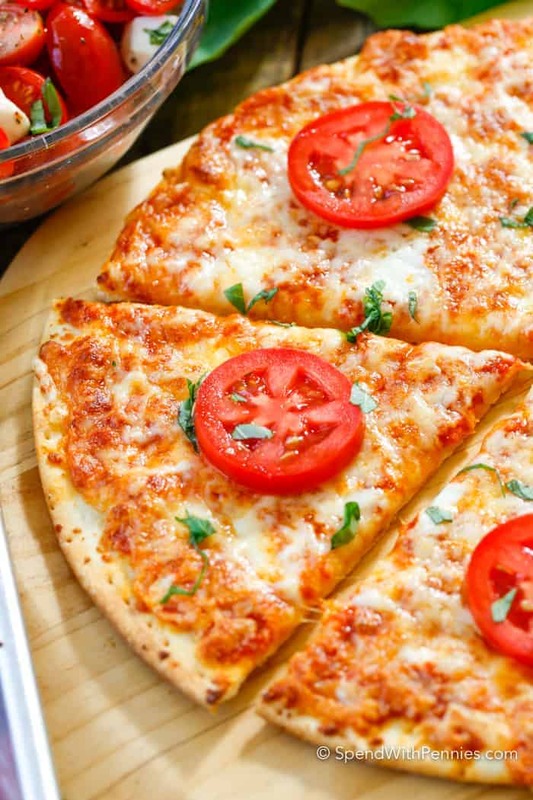 Serve with CPK Frozen Four Cheese pizza topped with tomato and fresh basil. Nutritional information includes sides only.